Just when you needed it you slided a joker down the sleeve. A real surprise it was, from Argentina’s huge wine region Mendoza. Gerardo Michelini and his wife Andrea Muffato started this venture in the village Gualtallary (in the Uco valley) in 2012, after having worked for a long time in wine. Everything is organically farmed. In general they use whole cluster maceration with long skin-contact. A spontaneous fermentation is carried out in cement eggs, steel or large oak vats. Additions are kept at a minimum. 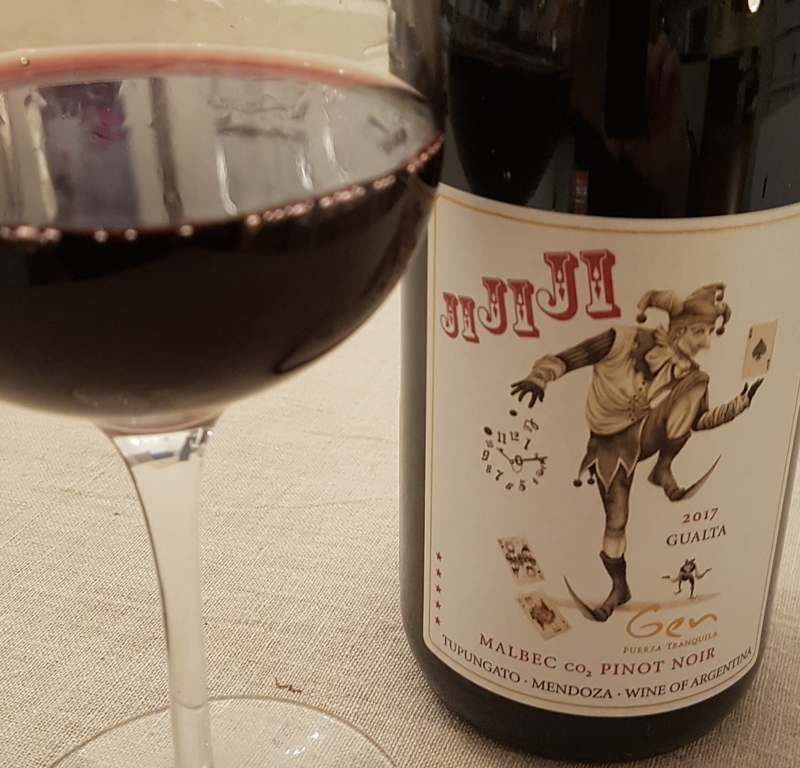 This is a blend of 50% malbec and 50% pinot noir from a young vineyard (planted in 2006) situated at 1.400 meters altitude in calcareous, stony soils. It’s made in steel, and saw some carbonic maceration. Unfined and unfiltered. Dark cherry, violet hue. Fruity, aromas of dark berries (blackberry, blueberry), stony minerality and a hint of pepper. Fresh, juicy and carbonic with a touch of tannin. The alcohol is low at 11.5%.